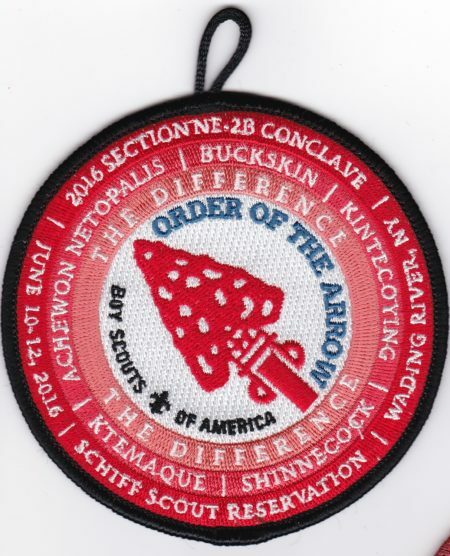 The 2016 Section NE-3A Conclave was held at Camp Woodland and hosted by Lowanne Nimat Lodge #219 The theme, a follow up from 2015 theme, for the 2016 weekend was The Quest. 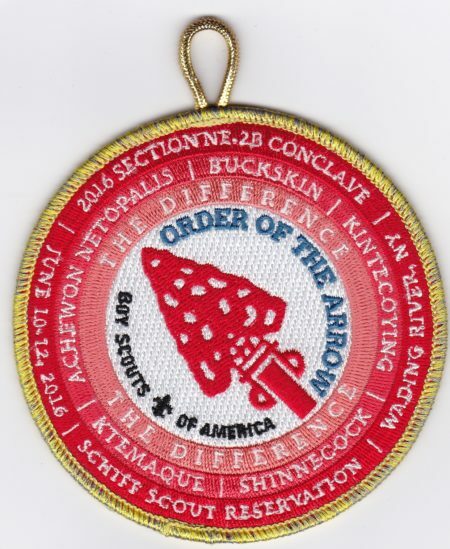 My original post for the 2016 conclave did not include the participant patch shown below. 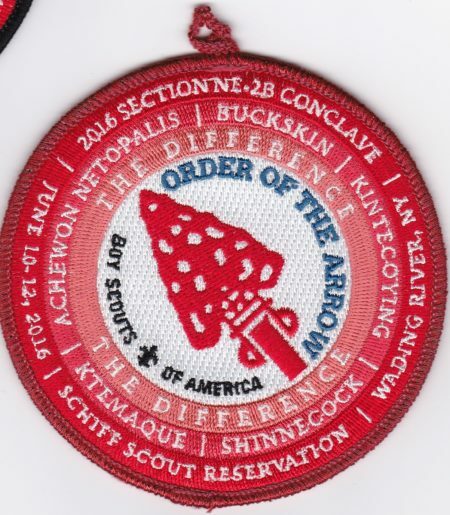 Does anyone know what this border color was for? 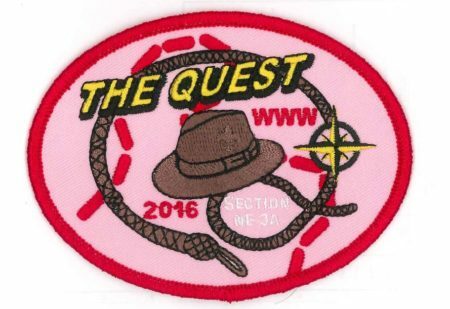 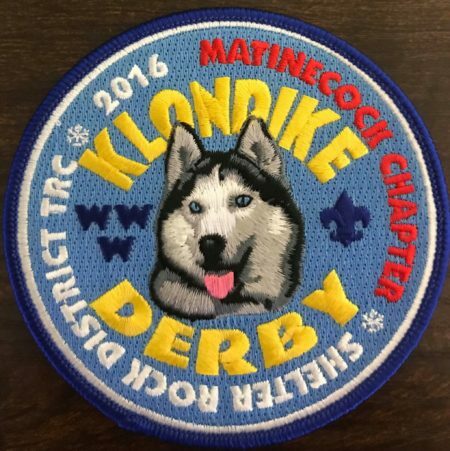 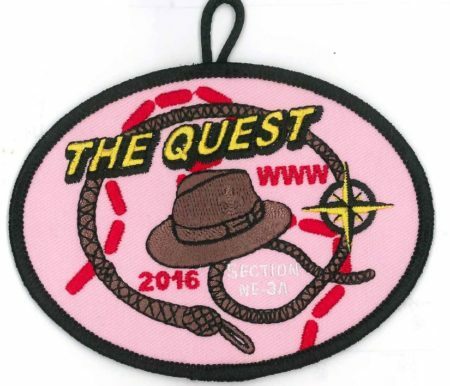 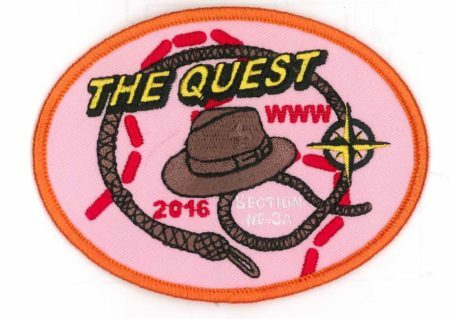 Here is second of two event patches from Buckskin Lodge #412’s Matinecock Chapter for the 2016 Klondike Derby. 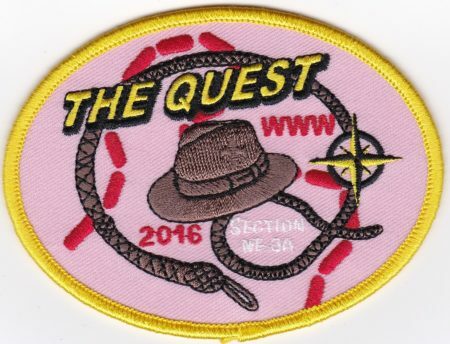 This is the staff patch. 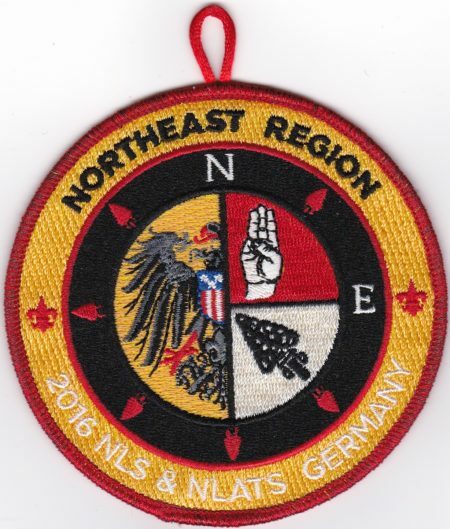 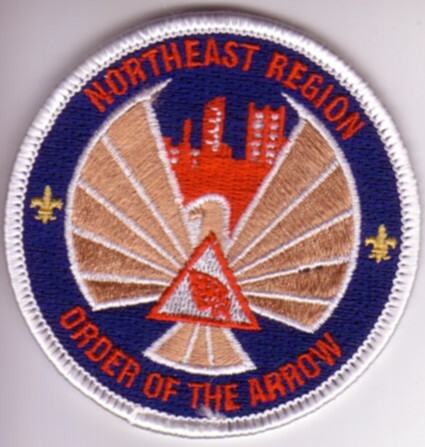 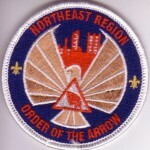 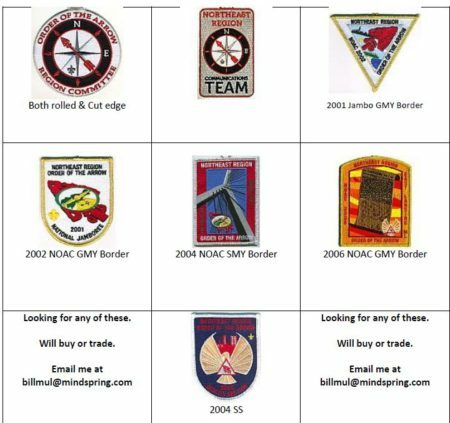 First is the participant patch shared a common design with the 4 versions of the pocket patch. 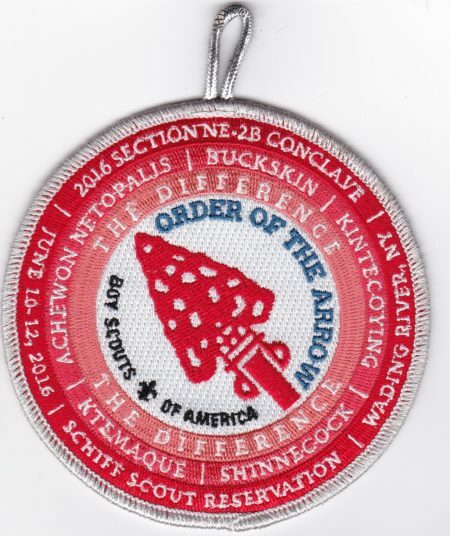 You can find PDF version of the file here.